The gallbladder is a hollow pear-shaped organ that lies just below the liver. Its primary function is to store bile, a thick yellow-green liquid produced in the liver. Bile aids in the digestion of fatty foods. 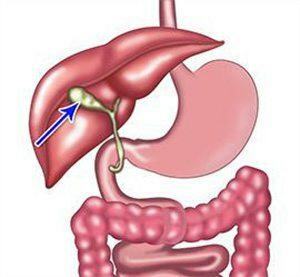 Stored bile drains out from the gallbladder into the common bile duct, which opens into the small intestine. Gallbladder disease is an umbrella term for several conditions affecting the gallbladder. Inflammation of the gallbladder wall is responsible for a majority of the gallbladder diseases. Gallbladder diseases can impact your health significantly by causing severe abdominal pain and decreased quality of life. A gallstone, is a lump of hard material formed inside the gall bladder. Gallstones range in size from a grain of sand to 3-4 cms. Gallstones are formed as a result of precipitation of cholesterol and bile salts from the bile. They are usually yellow-green and are made primarily of hardened cholesterol. They account for about 80 percent of gallstones. when the gallbladder does not empty as it should for some other reason. hereditary blood disorders such as sickle cell anaemia in which too much bilirubin is formed. Obesity - Especially in women. Oestrogen - Excess oestrogen from pregnancy, hormone replacement therapy, or birth control pills. Women between 20 and 60 years of age are twice as likely to suffer from gallstones than men. Diabetes - People with diabetes generally have high levels of fatty acids called triglycerides. 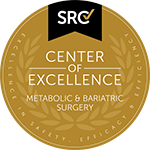 Rapid weight loss - As the body metabolizes fat during rapid weight loss, it causes the liver to secrete extra cholesterol into bile. The pain in the upper abdomen usually increases and lasts from 30 minutes to several hours. Many people with gallstones have no symptoms. These patients are said to be asymptomatic, and these stones are called "silent stones." Gallstone symptoms can be similar to those of heart attack, appendicitis, ulcers, irritable bowel syndrome, hiatal hernia, pancreatitis, and hepatitis. An accurate diagnosis is important. Ultrasound - the most sensitive and specific test for gallstones. Usually gallstones do not cause any problems, but if gallstones block the gall bladder outlet, trapping the bile in the gallbladder, infection in the biliary tract can result. If not treated both bile duct infections or pancreatitis can be a life-threatening. With prompt diagnosis and treatment, the outcome is usually very good. when a problem with the immune system occurs. Treatments depend on the type of gallbladder disease. The initial treatment of cholecystitis may include antibiotics however in the presence of gallstones, surgery may be the treatment of first choice. Where patients experience multiple gallbladder episodes, a surgery called cholecystectomy is most often recommended. A cholecystectomy involves the surgical removal of the gallbladder. Fortunately, the gallbladder is an organ you can live without. 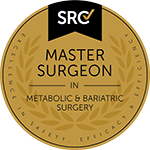 Gallbladder removal most often results in complete recovery and does not require a specific diet after the surgery. Of all the surgical procedures for which laparoscopy is an option, cholecystectomy - gallbladder removal - is the most widely recognised and accepted. The main benefit of this procedure is that it is a minimally invasive procedure. Minimally invasive surgery means "Lesser Pain" and "Faster Recovery". Further, keyhole gallbladder surgery has developed quickly in recent years. Gallbladder surgery is now the standard method for removing the gallbladder when indicated. Dr Kuzinkovas is experienced in advanced minimally invasive laparoscopic techniques and also performs advanced endoscopic surgery, such as ERCP. the camera sends a magnified image from inside the body to a video monitor. as Dr Kuzinkovas views the organs and tissue he uses the instruments to carefully separate the gallbladder from the liver, ducts, and other structures. Where the gallstones are positioned in the bile ducts, Dr Kuzinkovas may use Endoscopic Retrograde Cholangio Pancreatography (ERCP) to locate and remove them before or during the gallbladder surgery. If left untreated the gallbladder can become severely infected, causing some of the tissue to die and decay resulting in septicaemia (blood poisoning), a life threatening condition. In some cases the gallbladder may even burst or an abnormal channel may develop between the gallbladder and gut due to the inflammation. There are very few instances when laparoscopic surgery is not preferable to conventional surgery for cholecystectomy. The only real contraindication is if the anaesthetic risk is too high. Like any abdominal surgery, Laparoscopic Cholecystectomy carries some risks. Even though infrequent they are no more than most other general surgery procedures. Due to the less invasive laparoscopic technique, recovery is swift and usually only an overnight stay in hospital is required. The incisions heal quickly with less pain or scarring than traditional methods of surgery. You can expect to be back to work within two weeks.